The most modern and efficient solution of a quick pace of life is to move in on key. Bring your belongings, let us do the rest. Our services include turnkey homes or services that lead to the ultimate solution, which enables you to optimally market your property or enjoy your own living space with your family. Are you perhaps lacking time for renovation and knowledge to arrange all the required documentation? Are you perhaps not a good negotiator and always spend more than planned at the beginning? Would you like to know in advance what the added value of the renewed project will be and how much will this cost you? Would you like to have personal contact with experts, consultations, planning to make the best choices and rational utilisation, but do not know how to approach this? Do you need an estimate for your property and an advice on how to handle it optimally in the future? Do you want to carry out the project from the beginning to the end with the highest-offered quality and supervise it 24 hours per day? Do you want interior equipment at affordable prices, but you know that no store can provide you with as much discount as we get? Are you stressed because you know that a lot of administrative work is waiting for you as you want to move in, rent, or sell a property? With us it is much easier, effective and cheaper! Techical and financial supervision of construction and coordination of constractors. 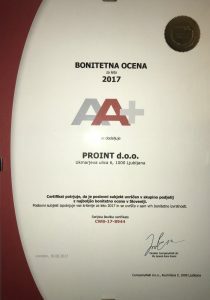 2017 PROint d.o.o. All rights reserved.